The sight of falling snow outside shouldn’t stop you from making the first move towards buying a conservatory or orangery as both of these beautiful extensions offer year-round comfortable extended living – the days of conservatories and orangeries feeling like ice boxes in winter have long gone. 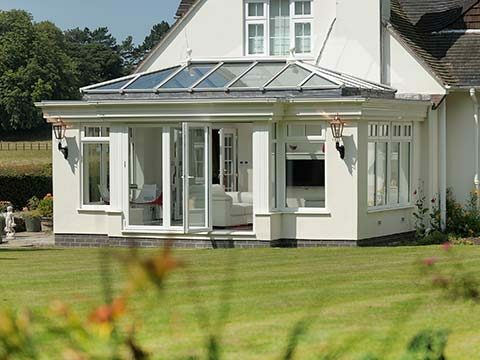 Your toughest choice when approaching a company like Permaframe will be trying to decide whether a conservatory or orangery will best serve your needs. There are certain similarities between the two, but there are also a lot of differences and getting to exactly what they offer can make choosing one or the other a little easier. We fit and supply both extensions, so who better to tell you a bit about them! Although it contains plenty of glass and framework like a conservatory, an orangery has a notably conflicting appearance to its counterpart as much of the structure is built using brickwork. Orangeries also have a different roofing system (most typically a Lantern roof) and the glazed sections within the frames tend to be very lengthy. Some people are of the opinion that an orangery offers a more natural extension of a house thanks to the brickwork used in the extension’s base and walls being purposely matched to the bricks of its respective house. While you get less glass and subsequently less natural light in an orangery compared to a conservatory, you might not view this as a bad thing! It results in added privacy which is perfect if seclusion is what you’re after. 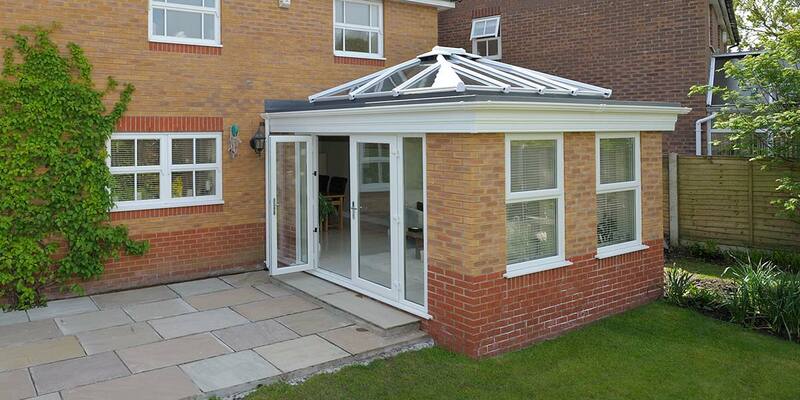 It’s the wealth of glass that’s the main giveaway that you’re face-to-face with a conservatory and not an orangery. You get a real window to the outside world when relaxing inside due to the enormous transparency you have around you. 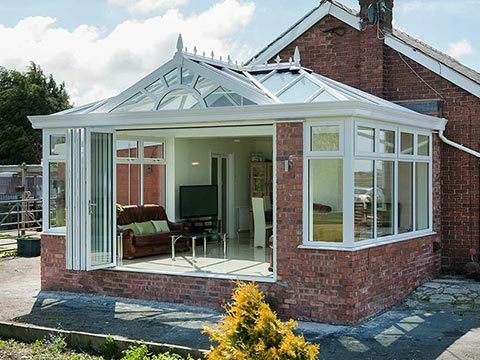 The very first conservatories were used almost like greenhouses, a place for growing plants and flowers, but the development of thermally efficient glass and quality insulating materials means a modern conservatory can be used as anything from a luxury dining space to a sophisticated home office – it can be designated as pretty much any type of room you want. 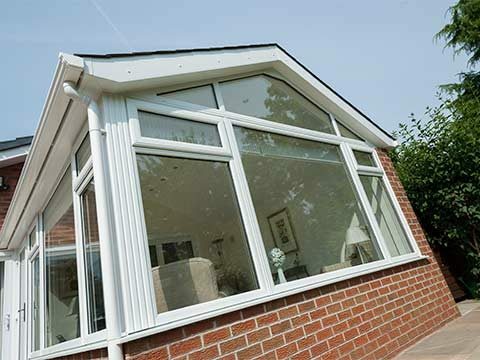 They can also come in a range of styles (as seen here) so there’s every chance you will find a conservatory style that suits your home, even if you happen to live in a bungalow (thanks to the Lean-To!). A final decision on whether a conservatory or orangery most floats you boat should only be made after a visit to our Frome showroom where examples of both can be viewed.